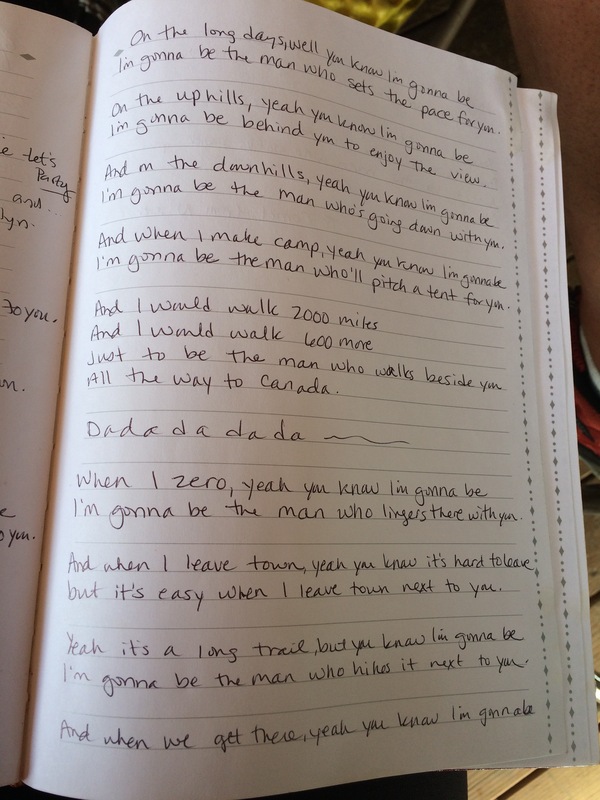 So I think I mentioned before, Jason spent a good 200 miles coming up with new lyrics to the song “I’m Gonna Be,” (aka “500 Miles”) by the Proclaimers. 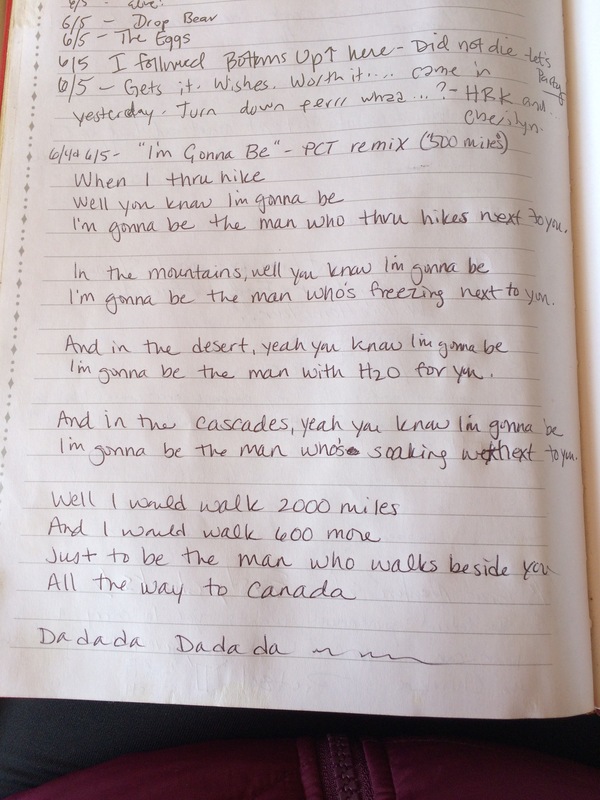 We wrote out the whole thing in the PCT log book at Kennedy Meadows (I transcribed since Jason has horrible handwriting). Enjoy. You have to have the tune in your head when you read it. 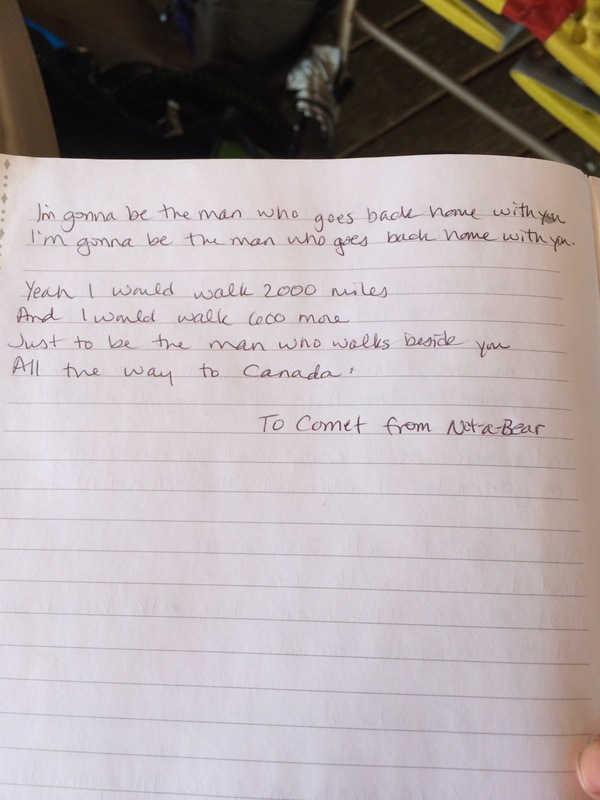 Hopefully you can see it all in the photos. 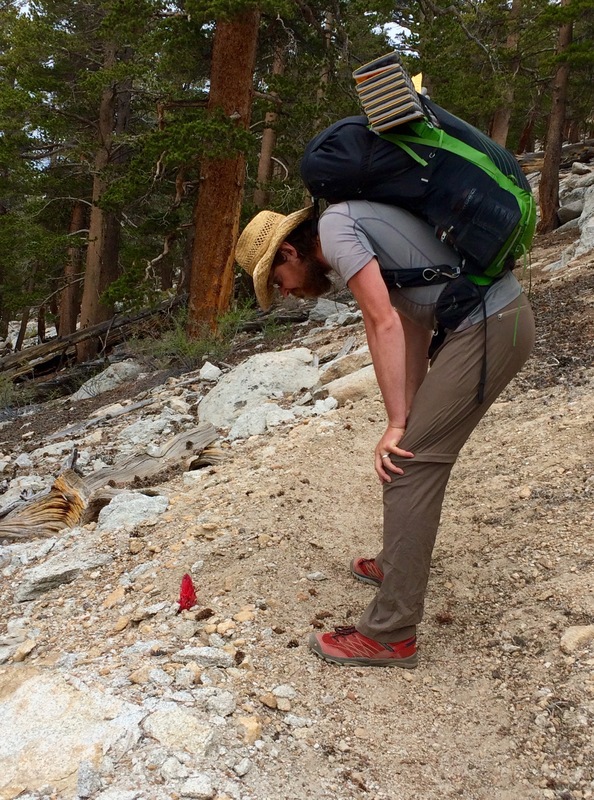 Categories: Central California, PCT | Tags: 500 miles, Pacific Crest Trail, PCT blog, thru hiking | Permalink. It is a snow lily. It comes up right after the snow is gone . One of the first flowers to come up after the snow. Got something from you in the mail today- Thanks so much !! Hanging on my wall 🙂 Hope your weather is cooperating.